Watches represent a melding of luxury and utility in a way that makes them special to many a collector. Any item that requires the level of craftsmanship that watches do will attract investors and collectors looking for unique creations. You may be one of those people, interested in the complex engineering and artful designs that watches can provide. However, once your collection begins to grow, you may find you need a place to actually keep your watches safe and secure. As such, Affordable Family Storage would like to discuss why a storage unit could be the ideal location to declutter your living space and protect your watch collection. To best protect your watches while they stay in a storage unit, you should focus on three major factors: preparation, packing, and environment. While each watch has individual needs, these three categories are the most important keys for preservation. The first thing you should do to prepare your watch for storage is to ensure that it is thoroughly cleaned. For especially valuable watches, it may be a good idea to bring your watch to an expert technician for maintenance before you place it in your storage unit. For most automatic watches, it can be a good idea to store them with winders, which will keep them precise despite the lack of movement (which usually winds the watch). Many winders will also double as a protective case, so they can be a great investment for your more valuable pieces. Proper packaging is vital to protecting your watch collection in a storage unit. The number one element that damages watches is dust. Dust can clog delicate parts of the watch and damage the materials. One of the best packages for your watch is actually the original packaging they come in. Manufacturers engineer their packages especially for protecting that particular watch. If you no longer own the original packages, try wrapping your collection in an acid-free paper before placing them in a cardboard container. You want to avoid plastic stuffing and boxes as they can retain moisture and damage your valuable collection. Perhaps the most important aspect of safe self-storage for a watch collection is the environment you store them in. Watches should be stored in a cool, clean, and dry location free of excess dust. Choosing a climate-controlled self-storage unit will ensure that your watch is not subject to extreme temperatures or high levels of humidity. If you are in the market for a self-storage unit for you watch collection, no facility will better serve you than Affordable Family Storage. 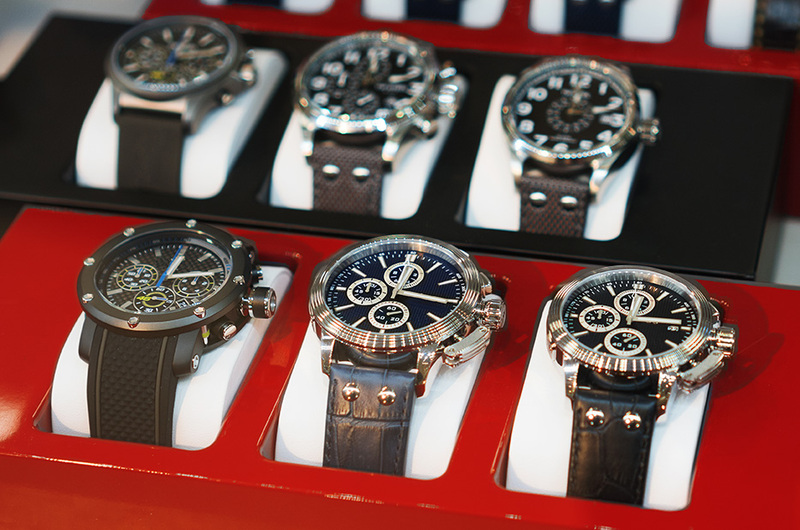 Our state-of-the-art self-storage units are the ideal location to keep your watches safe and secure. Contact us today to discuss your storage requirements.